Discussion in 'Tone Zone' started by CCSpecial, Sep 17, 2018. Hi, I own and constantly play my 2008 Gibson SG Special (Heritage Cherry) and I am in love for life. It is truly a "Special" model because it is autographed by Robby Krieger!!! No idea. Maybe someone else will chime in with some info. But I personally love SG Specials...I currently have two. I have owned a few Standards over the years, but I like the specials better. I usually add chrome pickup covers, I just like the look. This is my 2011 (I've had much older ones in the past). plantations at that time. I don't know if they still own them. I doubt it. You can learn more by googling "Gibson's trouble with the Federal Government..."
you of Gibson's sources for SG materials. They buy whatever they can find that meets their standards. Political conditions in third world countries are often dicey and changeable. or export inspectors, so they didn't go to work. difficult. The Government certainly tried, and how well they succeeded is debatable. confiscated and then later returned. Mahogany and Rosewood in your SG was bought. 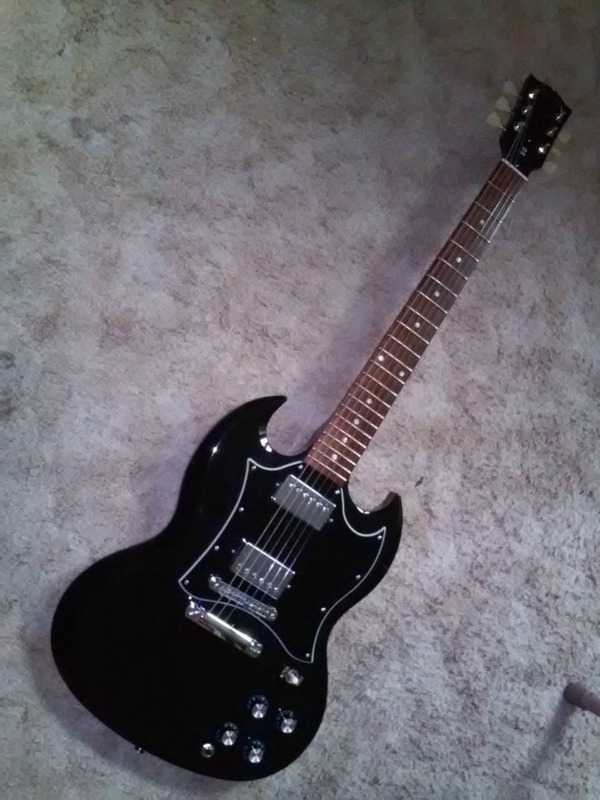 I have a 2012 Gibson SG special that I am also in love with. Mine has a mahogany body, a maple neck and a fretboard made of "Baked Maple." North American. That's only a guess. SG Specials are also my favorite. I had a 2012 LP Special with a baked maple board. I liked it alot!!! I currently have an SG with a granadillo board, love that too. I had an LP with an obech fretboard, was fine. I have had steinbergers with graphite boards, as well as Parker Fly's. Loved them all. I also have maple, and ebony. I generally can love any board if it is on a guitar that just feels right.